The Aspen Collection boasts elegance, energy efficiency and enhanced security, an unprecedented combination in fiberglass doors. With authentic wood grain finishes – mahogany; or cherry; and oak – and six rich stain colors it is hard to bypass their beauty. Security has always been a concern when choosing a fiberglass entry door. Not any more! Our Aspen Collection has a full length lock side stile. It is 4” finger jointed pine with a solid oak edge that has a 7 gauge steel plate embedded the entire length (patent pending). 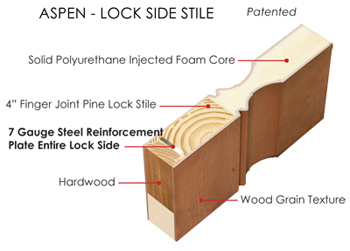 This adds increased security and stability to the fiberglass shell. 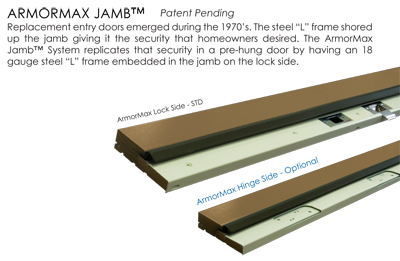 This combined with the ArmorMax Jamb™ System, for pre-hung doors, makes the Aspen Collection burglar resistant. 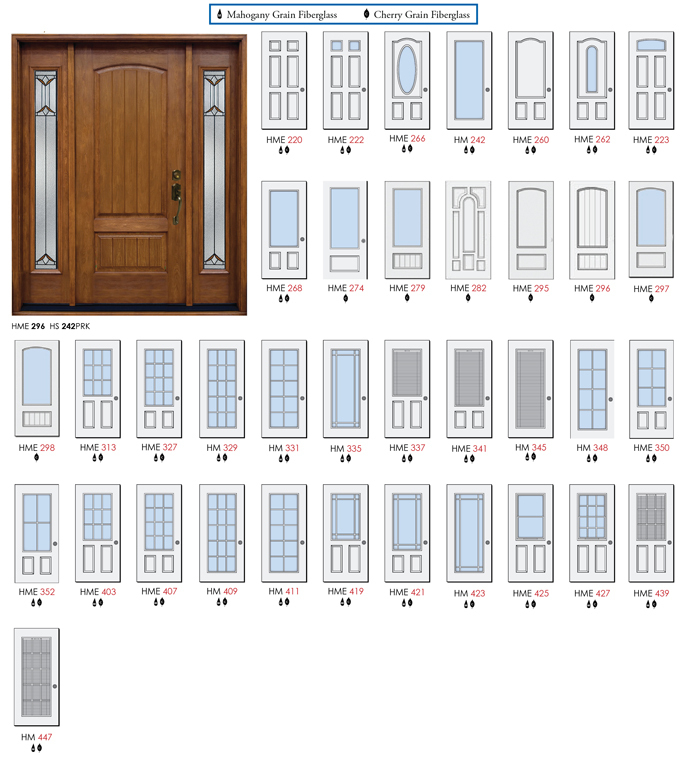 No other fiberglass door on the market can meet the security level of our Aspen Collection. The composite interior rails deter rotting. Injected polyurethane foam insulation fills every nook and cranny inside the door giving it optimal insulation. Cherry – Cherry, native to the northern temperate regions of the globe is known as a premium hard-wood. Its distinctive wood grain pattern of elongated ovals and intermittent collinear lines captures the attention of the on looker. 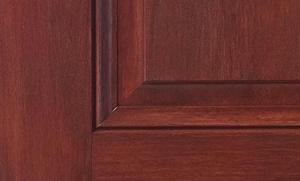 HMI’s cherry grain fiberglass doors replicate this unique appearance. Mahogany – Mahogany, native to Latin America is considered a premier exotic wood. With its fine texture and uniform interlocking straight and curvy lines distinguishes it from other wood grains. 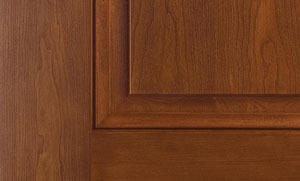 HMI’s mahogany grain fiberglass doors capture this unique look.